1098 Customers Have Purchased This Item! The Ruger 10/22 Threaded Barrel Adapter from Tacticool22 enables you to attach end-of-barrel accessories on your Ruger 10/22, such as muzzle brakes, suppressors, and flash hiders. 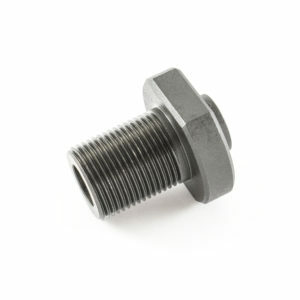 Comes standard with 1/2-28 RH threads. 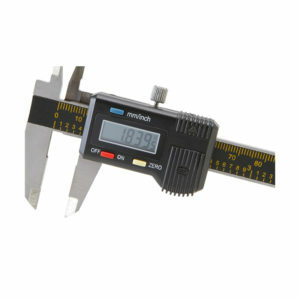 Made from high-quality stainless steel. Our competitors often use steel, which may rust over time. 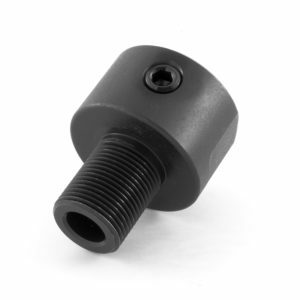 This premium Ruger 10/22 Threaded Barrel Adapter quickly and easily slips on to the non-threaded barrel of your Ruger 10/22. The largest diameter is a little larger than current A2 Birdcage and similar flash hiders. Once on the barrel, simply tighten the set screw, attach your own end-of-barrel accessory, and start shooting. 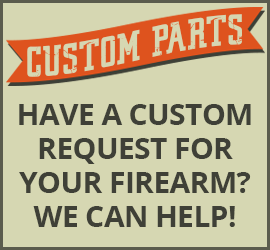 You now have a fully-threaded barrel, without the cost of going to a machinist or gunsmith to thread your barrel. It’s that simple! Has a cutout to fit around the front iron sight. Diameter is a little larger than A2 birdcage-style flash hiders. Natural stainless (silver) finish for years of trouble-free service. Made from high-quality stainless steel, so it won’t rust. 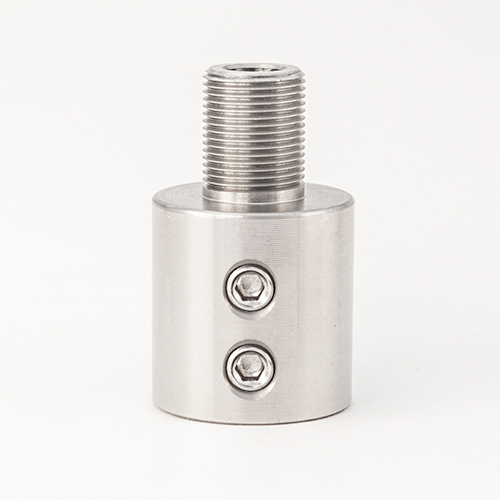 Install this thread adapter on your non-threaded barrel in under 1 minute, and remove it just as quickly.